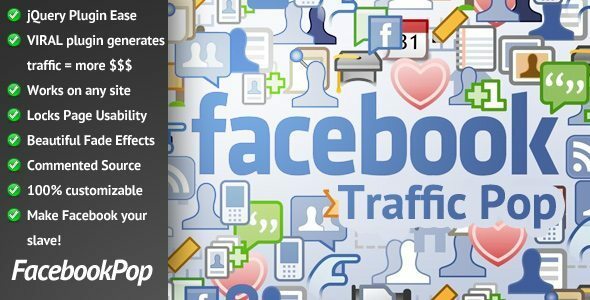 More likes = more exposure = more traffic = more money! More tweets = more exposure = more traffic = more money! 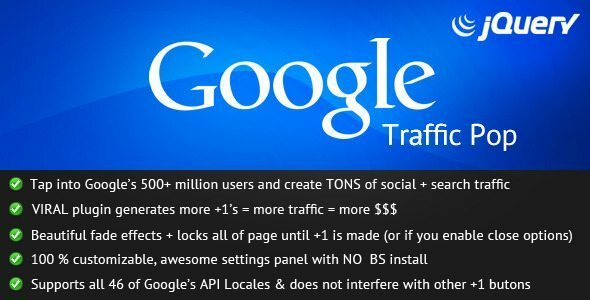 More +1’s = more traffic = more money! This tool engages the audience while giving them a chance to directly tweet, in order to divert more traffic to your site. 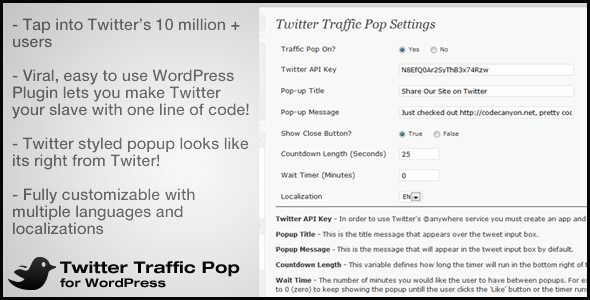 Twitter traffic pop for WordPress is a customizable tool that can be easily managed on small and large scale websites. Traffic can be increased with the help of twitter pop up boxes to increase leads and for effective marketing at the same time. The biggest advantage that the tool offers is that that the audience can now dismiss ads by simply joining the Google +1 community. Also, it is a great way of sharing content with just a single click. Another important aspect is that with each click, more visitors and links will continue to be added to your website. See the tutorial for adding the Google +1 button to your site. As an alternative to generating revenue through clicking ads, Facebook Pop enables you to get pages liked on Facebook, instead. With a single line of code, the plugin makes it easier for users to click on an identified and resembling icon, to generate traffic towards the website. 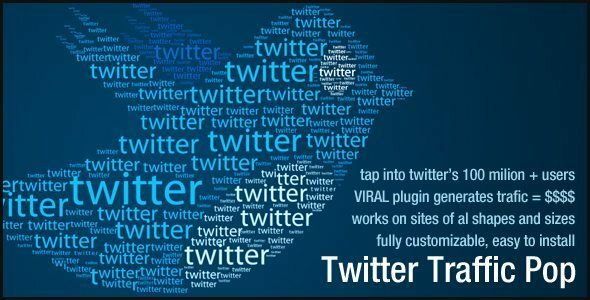 Another suitable traffic for Twitter, gives site owners a chance to earn more by making the audience tweet more. With this new marketing features, visitors may engage in tweeting since it is much simpler than seeing an ad for products they dont need. Another amazing component of the plugin is that, you can even run Twitter based ads on your site as well. (For more information see: Great Useful Web-based Twitter Services). With the existence of so many online websites and platforms, individuals often find it difficult to retain the audience. Today, websites place ads on the web pages, adopt different content styles and avail many more options to keep the site interesting for users. However, it has been seen that a visitor is more likely to click on a social media icon or pop up simply because the icon seems more familiar to them. Therefore, use this idea to choose the most suitable plugin for your website today and increase your earnings overtime.